Dr. Mark Weichold is the Executive Director of the Halliburton Global Engineering Program at Texas A&M University, and the former dean and chief executive officer of Texas A&M University at Qatar. He was recently designated a Regents Professor for his outstanding work and exemplary contribution to the university. 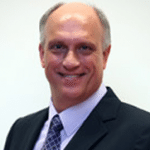 In the role of executive director, Dr. Weichold oversees all aspects of education research related activities overseas for the Dwight Look College of Engineering. This includes, but is not limited to identifying and developing opportunities for international experiential education, study abroad, international internships and collaborative capstone design projects. Dr. Weichold has authored more than 80 journal articles, conference papers and scientific reports, and has been awarded three US patents, as well as numerous honors for his research, leadership and teaching. His research interests include topics related to electron devices, such as process development, device design, fabrication, and characterization.